Our team of residential organizing professionals can bring order and calm to your home. This one-hour consultation is perfect for people who are just beginning to explore the idea of organizing their home. We come to your home or storage location to discuss, evaluate, and create the appropriate organizational strategy. During our in-home evaluation we provide direction on how to approach your organizational challenges, where to start, and what to do; suggesting products/strategies that might be helpful. You can then work on your own or purchase additional hours of Uncluttered On-site Organizing. During on-site organizing we work with you to sort through your items and help you decide what you need to keep, donate, sell, or discard. With the strategy and sorting taken care of, we then set up new storage and organizational systems as needed. We will use products you already have or recommend products to purchase to help you achieve and maintain the long-term order that you desire. Please note that Uncluttered On-site Organizing appointments are booked in 3-hour increments. Putting your home on the market? Bring your curb appeal inside by creating a space that will attract potential buyers and make your home stand out from the crowd! Uncluttered provides a detailed walk-through of your home from the perspective of a potential buyer. We then help you determine which issues will detract from the sale of your home and provide a list of improvements you can make to allow the true beauty of your home to shine through. You can work through the list on your own or hire us for additional hours of On-site Organizing. For real estate agents, Uncluttered real estate services provide a leading edge in the market. Clutter-free, depersonalized homes sell faster and for higher values. An Uncluttered gift certificate is also a useful way to support your client prior to moving or a thoughtful gift after the closing of the sale. Uncluttered is thrilled to be able to provide virtual consultations. We believe that distance and budget restrictions should not stand in the way of an organized and calming space. Let us inspire and encourage you through the organizing process! By answering tough organizing questions and helping you overcome the challenges you experience along the way, Uncluttered can save you valuable time and keep you on track to meet your organizing goals. To begin this process, simply email photos of the space you would like to consult on and Uncluttered will contact you to discuss your needs. At Uncluttered, we have a "use what you have" philosophy. Our goal of improving appearance, functionality and space creation is often achieved by re-arranging your current furnishings, artwork and accessories. We create dramatic results using existing furnishings in your home or office: a whole new look from items you currently own! After living in your home for years, sometimes a fresh perspective is exactly what you need to discover a new fresh look for your space. Are you ready for a new look? Let Uncluttered help you. Uncluttered has worked with hundreds of seniors and understands the needs of those who have lived in their homes for an extended time and now find it necessary to downsize and move to a new location. We provide you or your loved one with caring support, sorting through precious memories and helping to decide what to keep, discard, or sell. We help create an independent living space that is safe and functional. This is a very difficult and stressful time for most seniors and we would like to make the transition as smooth as possible. It is our policy to treat seniors with dignity; compassionately guiding in the decisions of what to keep or what should go. At Uncluttered we offer a full service move. The moving process can be stressful and overwhelming. We can provide support for you at every step! First, we sort and eliminate unwanted items. Removal of unwanted items at the initial stage can significantly reduce your moving costs by decreasing the weight and time associated with moving items you no longer need. We will then prepare for the arrival of the movers; managing all aspects up to the day of the move. Then on move day, we are there to manage the movers and make sure all the boxes and furniture arrive in the correct room of your new home or office. Finally, we unpack and organize your belongings in your new space. Organizing as you unpack will help you establish routines and systems for your new living environment. Whether you are moving or downsizing your home or office, our team organizing professionals can help to make everything go smoothly with ease. Whether you're moving down the street or across the country, we can expertly handle your office move. 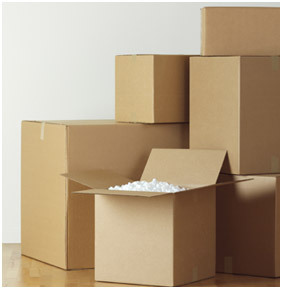 Uncluttered will arrange for movers, supervise the packers, and oversee the movers on move day. Then we will set up your new office just the way you want it. We'll even handle the donation of items you no longer need. No headaches. No hassles. Do you have a favorite picture from your childhood? Or a photo of your grandmother when she was your age? Or of your parents when they were in high school? I think of photos as windows to the past — something to be viewed, enjoyed and shared with family and friends. Photos are magic. They do more than simply capture the image on the other side of the lens — they are like little time capsules that transport you back to those moments with family, friends, travel, love, laughter and fun. Yes, a picture is worth a thousand words, but they also get people talking, asking questions, and reminiscing about the special moments they hold. At Uncluttered, we love photos and understand how precious they are. It is our mission to get those memories out of their boxes so they can be loved and enjoyed every day. Our team of photo organizing professionals specialize in creating custom photo collections for our clients so those stories, keepsakes and precious photos are enjoyed and shared with family and friends not only today, but for generations to come. Our photos allow us to relive a moment in time, share them with others and continue our stories for the next generation. Whether they act as a time-capsule for generations before or after us or they capture your child's frosting-covered face on their first birthday ... photos help keep special moments alive. Unfortunately, if they are stuck in your phone or digital camera or hidden away in boxes, you are missing the stories those pictures were destined to tell. Boxes of photos in the closet, basement or attic? Thousands of undownloaded images on your smartphone? Slides in carousels from when you were young that your parents passed down to you? Tapes in old formats you can no longer play? Voice recordings of those no longer with us? If you do, Uncluttered can help bring those memories back to life. During our consultation, we will review the boxes, albums, cameras and computers; gathering them all in one place so you understand what you have, and then find the best way to organize, digitize and share them for your future enjoyment with family and friends. Don't wait another day to start sharing those memories — we love organizing photos and can't wait to make sure yours are backed up, easy to find and safe for future generations. The Top Choice Package has this name for a reason — most of our clients choose it. If you are busy and don't have the time to dedicate to this project (or simply don't want to deal with it) our team of organizing professionals are ready to take on the whole task for you. We will lovingly take your boxes of physical pictures, old tapes, memory cards and digital images ... and return them to you organized, backed up and ready to be enjoyed. Your dream of organized and accessible photos is not far away. Photos are some of the most personal items we organize and our team is honored by the privilege of helping with your precious treasures. If you want to be more involved in the process of organizing, but want an expert with you every step of the way, the Premier Package is for you. Maybe you don't know the best way to get started ... or would like someone by your side for when you get stuck ... with the Premier Package you will have a dedicated organizer helping you throughout your whole project. Sometimes all you need is a plan to get you started. If you want to tackle this project on your own, but want to make sure you don't reinvent the wheel, the Basic Package is for you. A big key to organizing is breaking your project down into smaller pieces and taking on each one at a time. With the Basic Package, the Uncluttered team will help you create a plan and lay out the steps so you can organize your photos at your own pace. Ready to get your custom plan? This can be a hassle to do on your own, so if you would like to hire a professional to ensure your precious photos are safe, look no further than Uncluttered. Photos are taken to help capture precious moments you don't want to forget — and allow you to share them with others. Organizing and backing up your photos is important, and sharing them is the reward you get when the project is complete. We know all the ways to share your photos, and will find the ones that will work best for you and your family. One of my favorite ways to share photos is by turning the TV into a giant photo frame to continually display and share those memories with any guest in your home. My clients love seeing their photos displayed on their TV screens, because it brings back the feelings of wonderful times spent with family or friends, trips from the past, or when they were younger. Clients tell me all the time how much they enjoy having gatherings since their photo projects were complete — they sit back and watch their family and friends share stories with each other and interact on a different level when the slideshow is running. Sharing the stories behind the photos is what carries the memories to the next generation. Regardless of how you choose to showcase your newly organized memories, we will make sure they are backed up, easy to find, and safe for you (and future generations). I personally have over 92,000 digital images. I have been entrusted with photos from my grandparents on both sides dating back to the late 1800s, photos from my childhood, my family's photos, and my in-laws' photos. I truly love the moments my photos capture: a look, a deeper meaning, or just the smile of someone enjoying the moment they are in. My passion for photography and organizing combine seamlessly with my love of family — not just my own, but the importance family plays in all our lives. I have followed my heart to become the trusted manager of my clients' lifetime of memories. 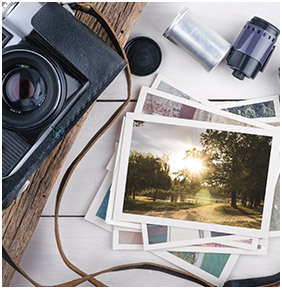 Our pictures and keepsakes are the windows to the past: time with family, friends, travel, love, laughter and fun. Most people have boxes of photos and memories buried in the closet, attic and basement. Photo cards stuffed in drawers throughout the house and albums full of pictures that are never opened. Tapes of home movies that can no longer be played. Voice recordings of those no longer with us. My heart for both my family and clients is to enjoy the precious memories from the past. These treasures are meant to be shared and to bring back the feelings of the moment the memory was captured. I work on sacred ground with my clients' keepsakes and photos. I see their joy, loss, pain, and cherished memories from those they have shared their lives and time with. I help them share those stories with future generations. I truly handle and treat every client's photos as if they were my own. I have created countless slideshows, albums and other photo gifts for birthdays, graduations and memorials for my clients. I've been honored to be a part of celebratory events and difficult times in their lives. One of my favorite ways to share photos is a digital photo frame or turning a client's TV into a giant photo display to share the memories from the past 24/7. One of my clients' husband stands in front of the TV for extended periods of time reliving times from the past, trips they have taken, and photos from when the family was younger. They reminisce together, enjoying each photo and the feelings they bring. A photo frame or slideshow playing in your home during a party or a time with family/friends will spark conversations across generations. Grandparents can share stories of the photos or memories with younger generations. These moments help ensure both the photos — and the stories they contain — will live on with future generations to come. My heart's desire is to help my clients protect and share their stories over and over again because their photos are more than images: they are the gateway to the past that brings smiles and emotion to today! If you are ready to organize, digitize and share your photos, I would love to help you. LET US CREATE YOUR CALM! Have a project you would like us to help you with? Click the button below and tell us about it. We would love to help you take back your home or office. Copyright 2019 © Northwest Interiors Unlimited, LLC (dba Uncluttered). All Rights Reserved.